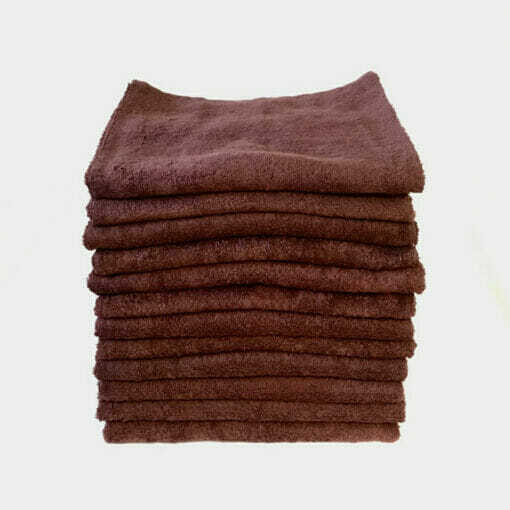 100% cotton hairdressing towels in chocolate. Feel For Hair Chocolate Suede Hairdressing Towels, pack of 12 hairdressing and beauty towels in chocolate suede colour, 100% cotton. 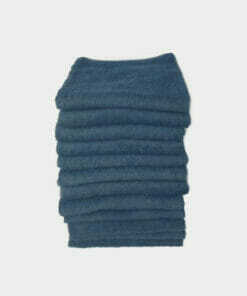 PLEASE NOTE WE ONLY HAVE 1 PACK OF THESE TOWELS LEFT IN STOCK AT THIS SPECIAL PRICE. 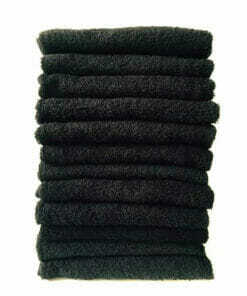 12 black salon professional hairdressing towels for use within the hairdressing and beauty industry. 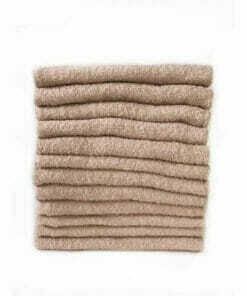 More absorbent than cotton towels, providing a quicker drying time. 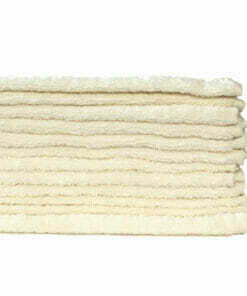 Highly absorbent hairdressing towels which are bleach resistant and made from 100% cotton. 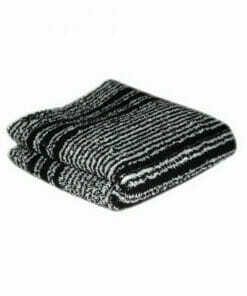 Highly absorbant black and white tinting towels from Hair Tools. 100% cotton beauty towels in white. 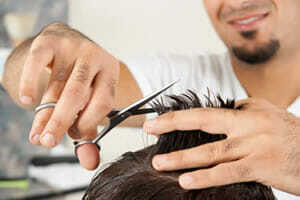 Salon professional hairdressing towels which are chlorine resistant. 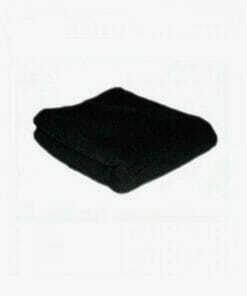 Salon professional hairdressing towels for use within the hairdressing and beauty industry. 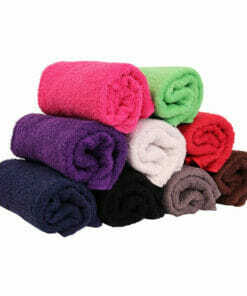 Professional hairdressing towels in packs of 12 and are available in a selection of bright colours. 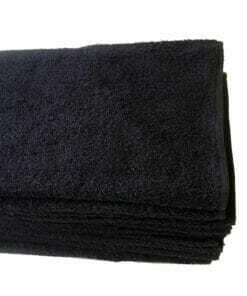 100% cotton hairdressing towels in navy blue colour. 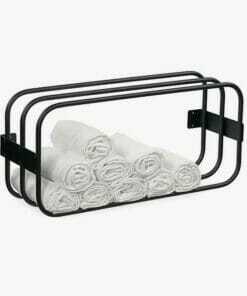 Stylish and practical towel rack in Black, supplied with wall fixings to fix horizontally or vertical. 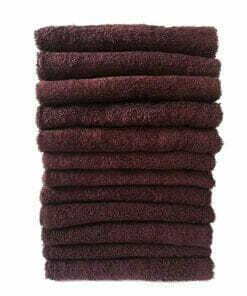 100% cotton hairdressing towels in rope colour. 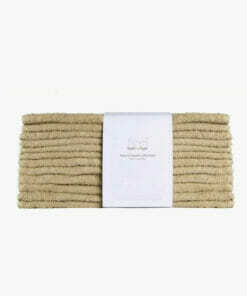 100% cotton hairdressing towels in driftwood colour. 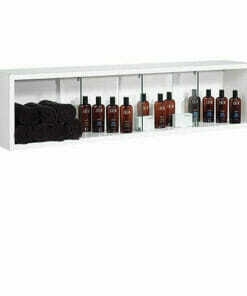 Stylish and modern towel or retail wall mounted storage unit, with three glass dividers. 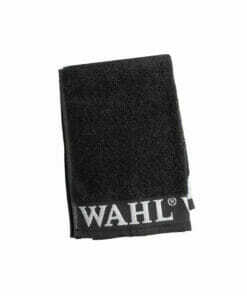 Premium cotton shaving towel which is perfect for use during and after shaving. 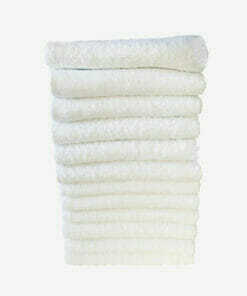 100% cotton beauty towels in cream colour. 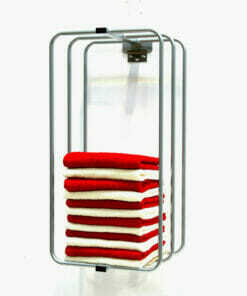 Stylish and practical towel rack in three different colours Black, White or Silver. 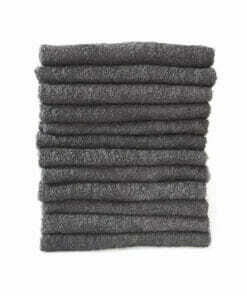 100% cotton hairdressing towels in pewter grey. 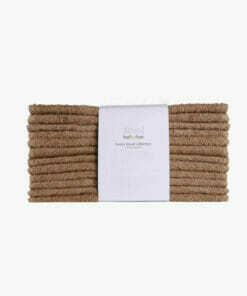 100% cotton luxury hairdressing and beauty towels in a great range of nine different colours. 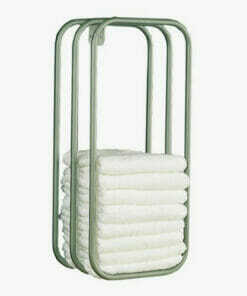 Stylish wall mounted towel rack, available in black, white or silver and holds approximately 32 folded salon towels. 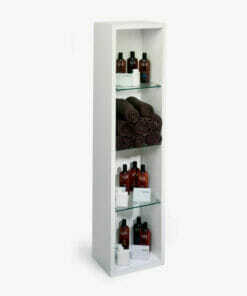 Stylish and modern towel and retail storage stand with three glass shelves.